Did you ever feel like you need a vacation after your vacation? I went on my first yoga retreat as a “research trip.” I love to travel. I love yoga. How can I combine the two…oh, right, a yoga retreat! 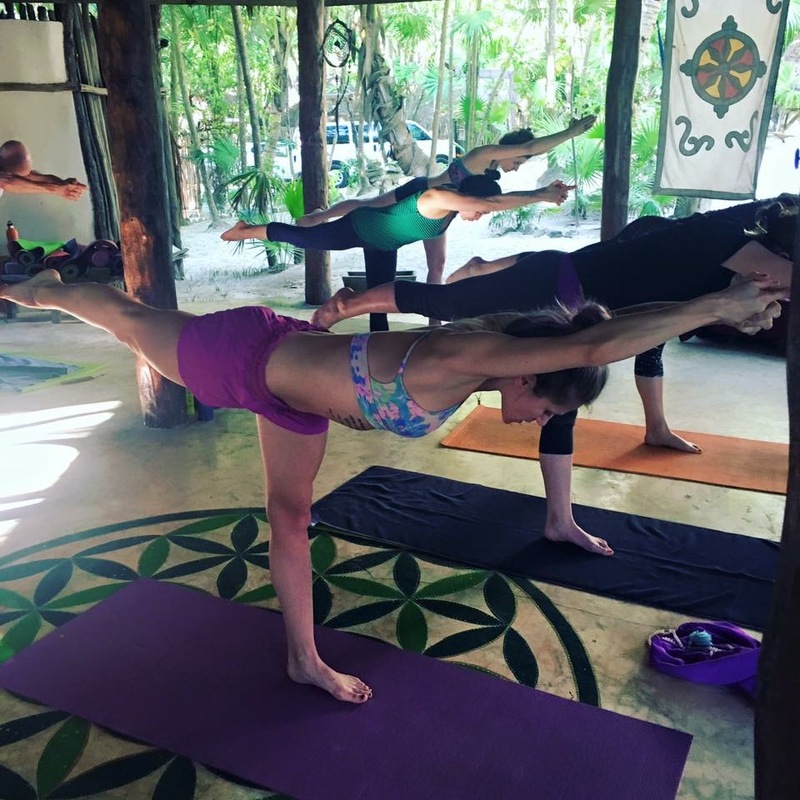 One week in Tulum Mexico making connections with people I now consider dear friends, eating delicious fresh prepared meals in an idyllic beach front setting, and I was convinced that not only is this the best way to vacation, but I also wanted to share it with my own yoga community. 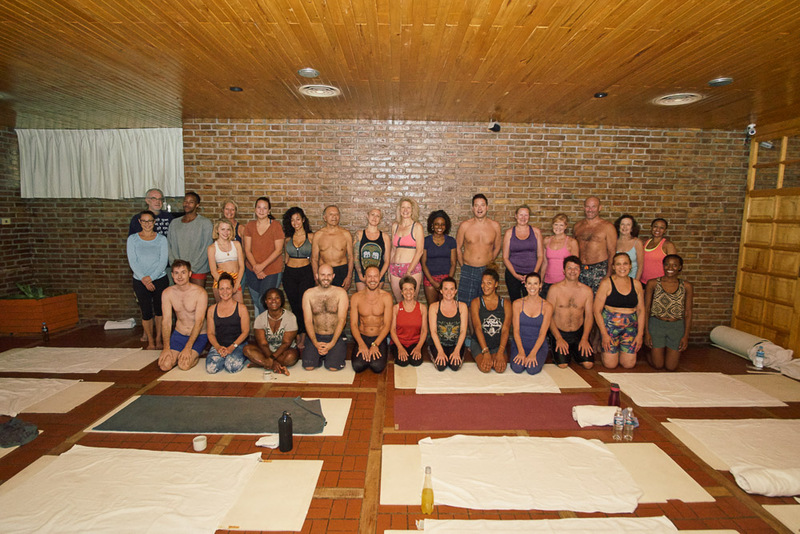 And our first Hot Yoga Ayurvedic retreat was born. We’ve since journeyed Tulum, Mexico, Puerto Rico, Mount Hood Oregon and now we’re heading to Outer Banks, North Carolina. Think about the activities that make up the usual vacation. Excessive exposure to sun, traveling in cars or planes, over eating, drinking, and planning. No wonder you didn’t relax on vacation…you didn’t even have time! Now think about a retreat. 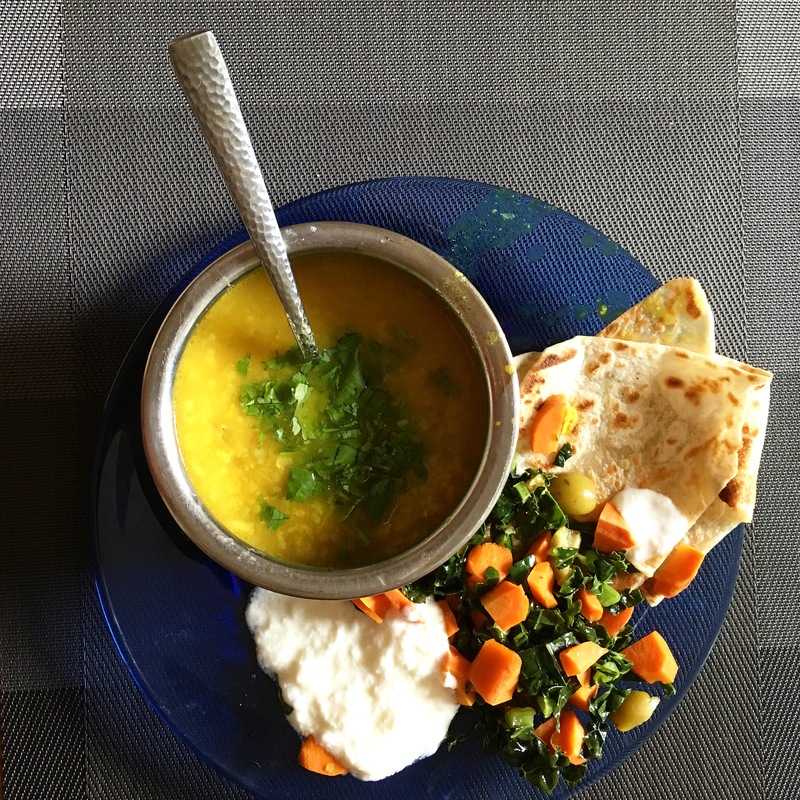 Your meals are all healthy, tasty, Ayurvedically balanced, and prepared for you at regular mealtimes. There are yoga, Ayurvedic workshops, meditation, and pranayama classes all day long, which you may or may not attend. The environment is quiet, peaceful, and relaxing with no shortage of salty fresh air and sea. There will be on site discounted massage therapists and body workers at your service offering high quality therapies. 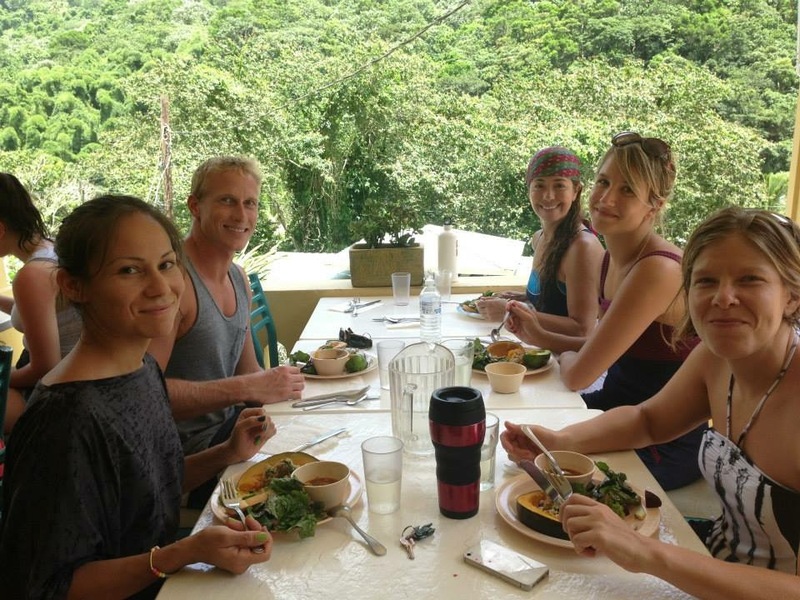 The company is like minded…we are all here to relax, do yoga and be well. Consider taking a retreat instead of a vacation. You’ll return to your daily life truly energized, rejuvenated, and ready to start from scratch all over again. This time, let us do the planning for your vacation. Join us for an all inclusive Hot Yoga Ayurvedic retreat in beautiful Outer Banks, North Carolina. September 8th – 15th. 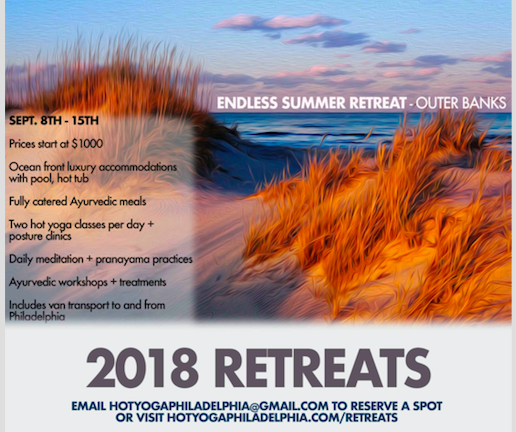 Check out hotyogaphilly.com/reetreats or email 2018hotyogaretreats@gmail.com for more information.